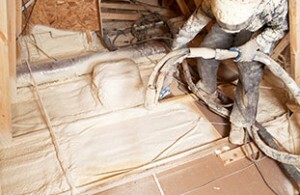 HomeBlogInsulation: Learning The BasicsHow Long Does Spray Foam Insulation Last? 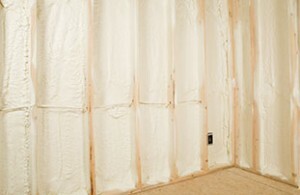 How Long Does Spray Foam Insulation Last? A Lifetime! The answer to how long spray foam insulation lasts will put a smile on your face. Simply put… it lasts forever! That means, wherever you use it, at home or in a commercial building, you will never have to replace it. Once blown in, it will retain its air-tightness and continually provide the protection it was designed for. Made of inert polymer, it is not likely to breakdown or rot, which explains why it will last as long as your property does, may be even after. Sustained performance, easy installation and flexibility with design have prompted many architects and builders to switch to spray foam insulation. Property owners are sometimes hesitant because the cost of the spray foam insulating system is higher than the traditional fiberglass one. Yet, its many benefits not only enable you to recover the cost in two to three years, but also deliver a lifetime of additional savings. In order to realize the lifetime benefits of the spray foam insulating system, you must select an appropriate type (open cell or closed-cell spray foam) and it must be installed by a professional. A DIY attempt could get messy and also cause many operational problems. Platinum Spray Foam technicians are manufacturer-trained and will ensure the job is done correctly. Being well-versed in building codes and insulating a variety of enclosed and unenclosed spaces is an added value we provide. Our team can advise you on what is the best solution for your building application. Consult us about insulating new constructions or upgrading insulation in current residential and commercial spaces. To learn more, call Platinum Spray Foam at (416) 731-8600 or request an estimate online. You can also visit our store to see our products and talk to our team.